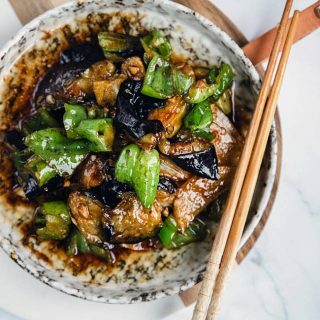 A popular vegan dish from Northern China –DiSanXian made with three most common vegetables in Chinese daily market: potato, eggplants and green peppers. 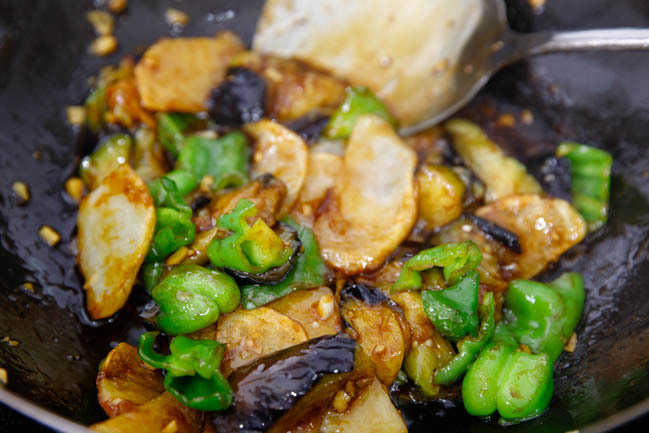 This dish gives a slightly crispy potato texture, soft eggplant and fresh green peppers. Di San Xian (地三鲜) literally can be translated as the three treasure of the earth. In daily cooking, we are more likely to use seasonal and local fresh ingredients. But they are never boring! You can combine some of them together and season with different flavors. 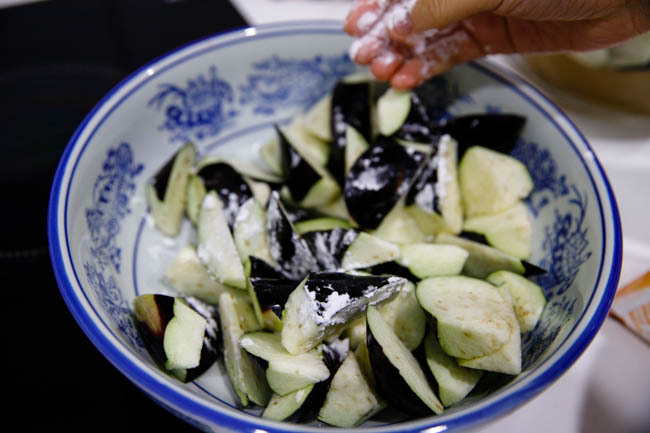 Soak the eggplants in slightly salted water for 15 minutes. Drain and then coat evenly with a thin layer of cornstarch. 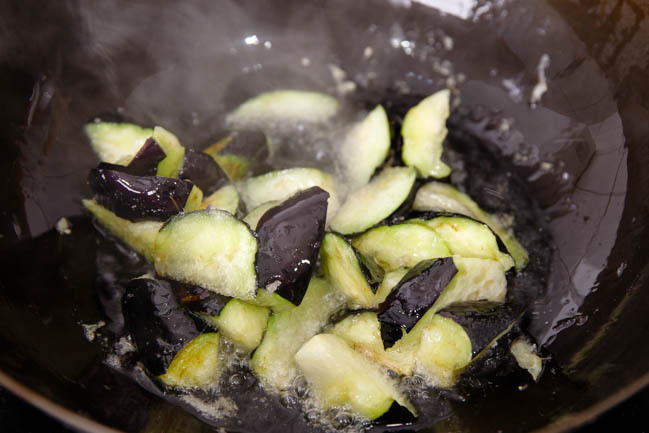 The eggplants can be softened even with a small amount of water. Drain completely. 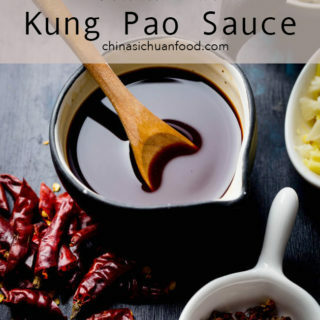 In a small bowl, mix all of the stir-frying sauce together. Heat oil in wok (recommend adding more oil to fasten the process, do not worry, we will remove extra oil later) to form a 3 cm oil layer. 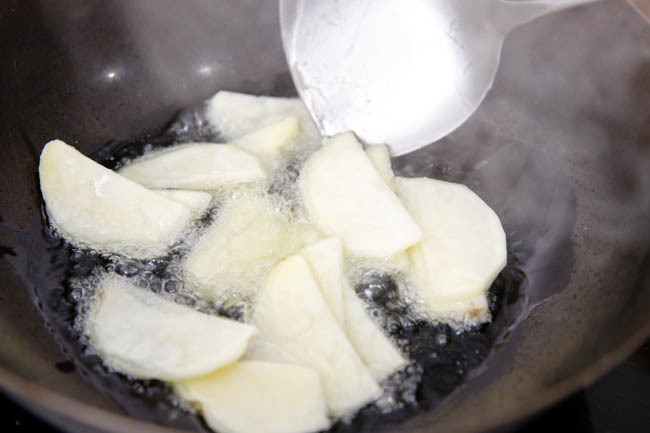 Place potatoes in and fry until well cooked. Then place the eggplant in and gently fry during the process until well cooked. 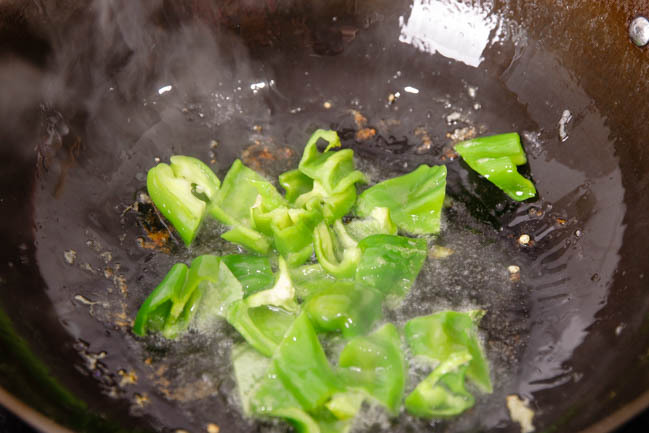 Fry green pepper for 10 seconds. Pour extra oil out and leave around ½ tablespoon of cooking oil in. Fry green onion and garlic until aromatic. Place the stir fry sauce in. Wait for a while until boiling. Place potato, green pepper and eggplants in. Fry until each piece is well coated. 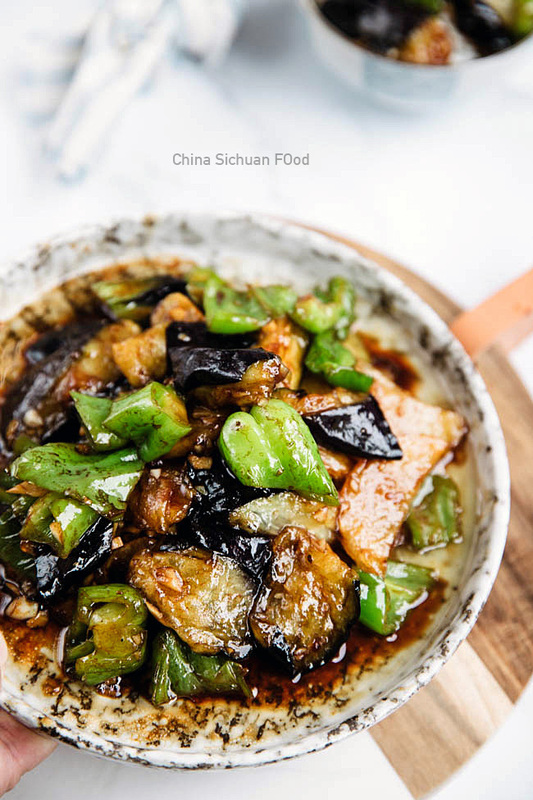 Famous Chinese Northern Dish- Di San Xi known as three treasures of the earth. 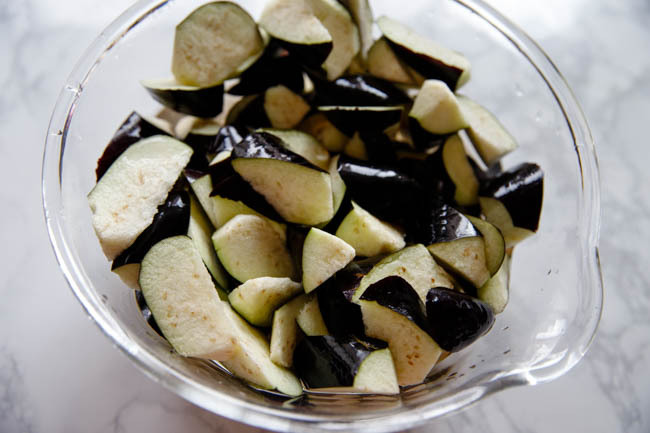 Soak the eggplants in slightly salted water for 15 minutes. Drain completely and then coat evenly with a thin layer of cornstarch. Pour extra oil out and leave around 1/2 tablespoon of cooking oil in. Fry green onion and garlic until aromatic. Place the stir fry sauce in. Wait for a while until boiling. Place potato, green pepper and eggplants in. Fry until each piece is well coated. 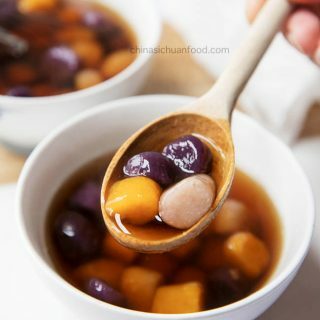 Tip about the wet starch coating: if you prefer a thicker coating, you can double the amount or for a more clean and dry version, skip the wet starch. Traditionally, this dish is deep-fried. If you are watching out the daily oil intake, you can fry all the ingredients with less oil. But the later method requires more time and patience. Thanks Nami. After seeing this comment, I realize it is the truth. 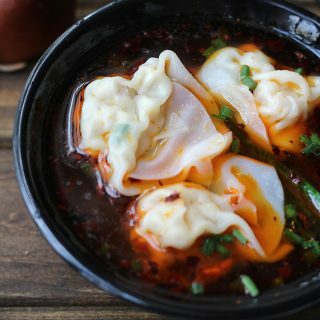 Chinese people do not add potatoes as frequently in daily cooking. But we love them too! 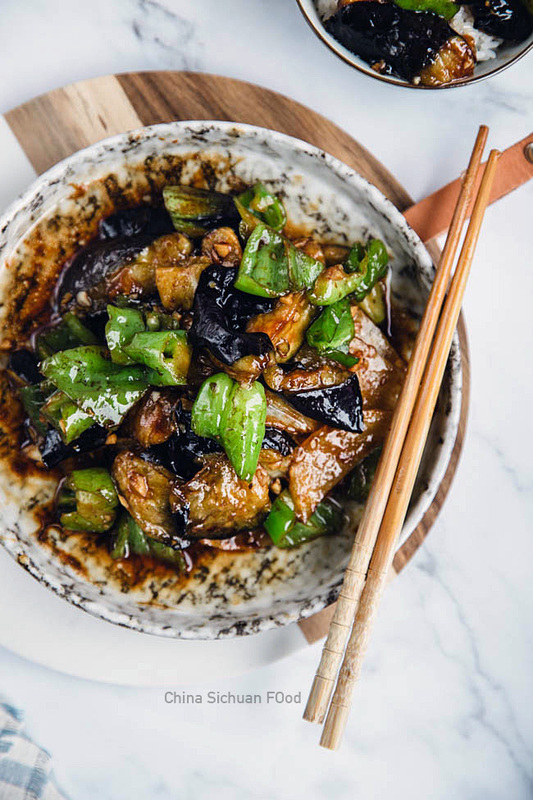 I love quick and easy Asian veggie dishes like this so I definitely need to try the recipe out. 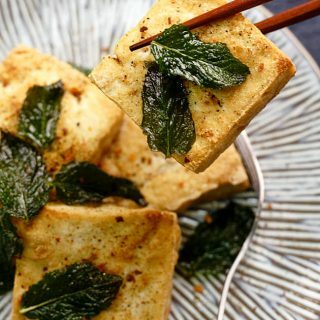 Interesting use of potato too – I also don’t think they get utilized enough in Asian cuisine! It seems that potato is not high frequency ingredients in Asian food. However we really love potatoes. We stir fry potatoes, braise potato, make potato soup and Chinese style spiced potato cubes. They are quite yummy too! Thank you for the recipe. 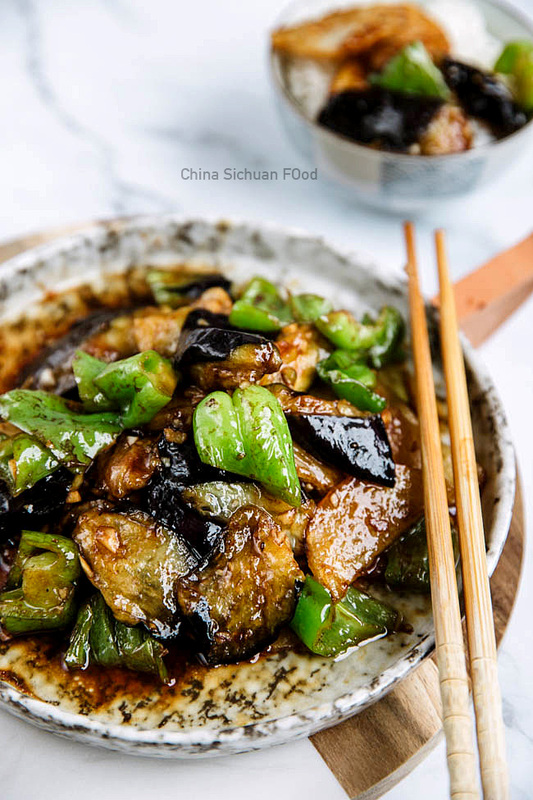 I used to live in Shanghai and it used to be my favorite aubergine dish. I am going to cook this tonight!!! You are the most welcome, Mohamad. And good luck!! 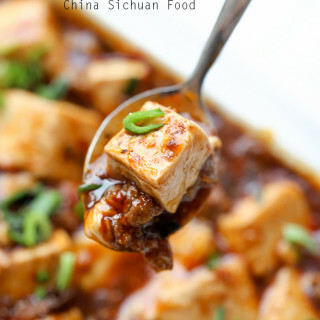 Most of the recipes on China Sichuan Food are authentic Chinese recipes as I am based in China. Hope they can be helpful and inspirational. Happy cooking in the coming 2016. You are the most welcome, Clemens. I am so glad that it works for you too. I love all of the vegetarian recipes you provide. Thank you for sharing them! I am Indian, and like all Indians I love eggplant and potatoes. 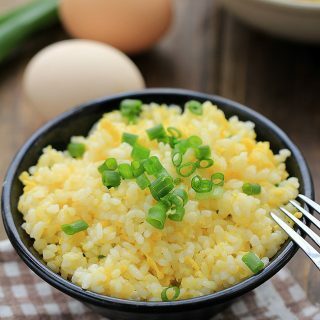 I made this recipe with the addition of onion and it is now a favorite. I will eat this weekly for the rest of my life. Thanks for your comments. Yes, this is also my favorite vegetarian recipe. I ate this many times in China, in Qingdao, Beijing and Shanghai. From high-end restaurants to a small music pub with generally not-so-prime food in Qingdao….but this is relatively hard to do wrong. The best was in Qingdao, if I’m not mistaken in a Dongbeiren outlet (3 floor megarestaurant with the most epic prtion sizes I have ever seen – it would put an American to shame). 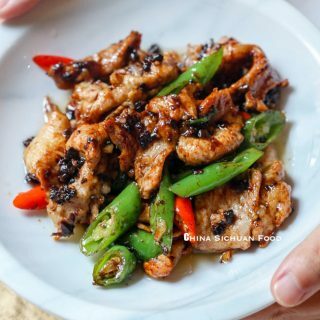 However, most recipes do not contain ginger, although I definitely remembr ginger in it, and I also know that there is virtually no Chinese dish w/o that. Yes, it is a popular dish across the country. 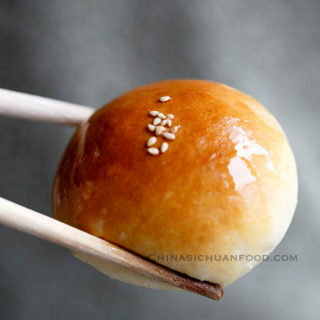 Dishes from Dongbei are quite different from the southern and central China. 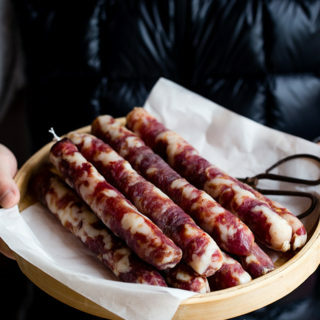 For cooking wine, it is mainly used to remove the odd taste from the meat in meat dishes. I do not apply it on vegetables.